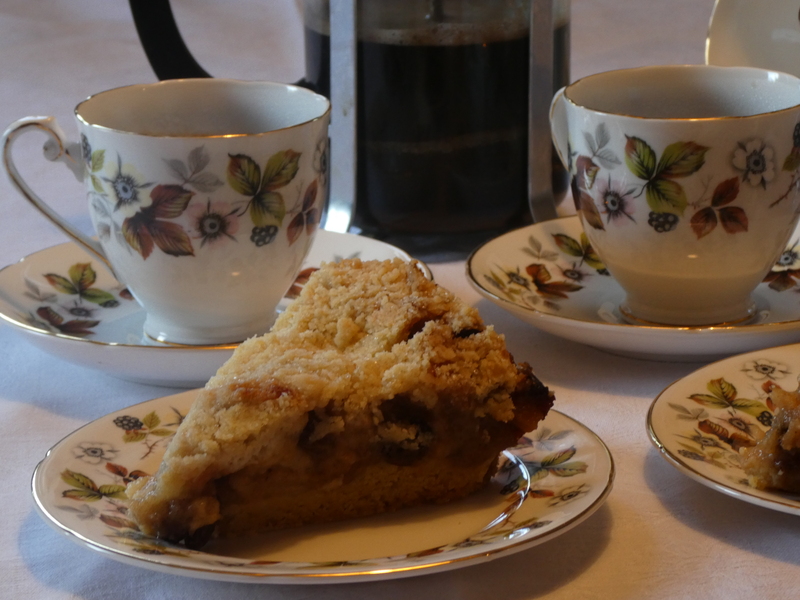 Szarlotka is the word my mother used for (apple) crumble. 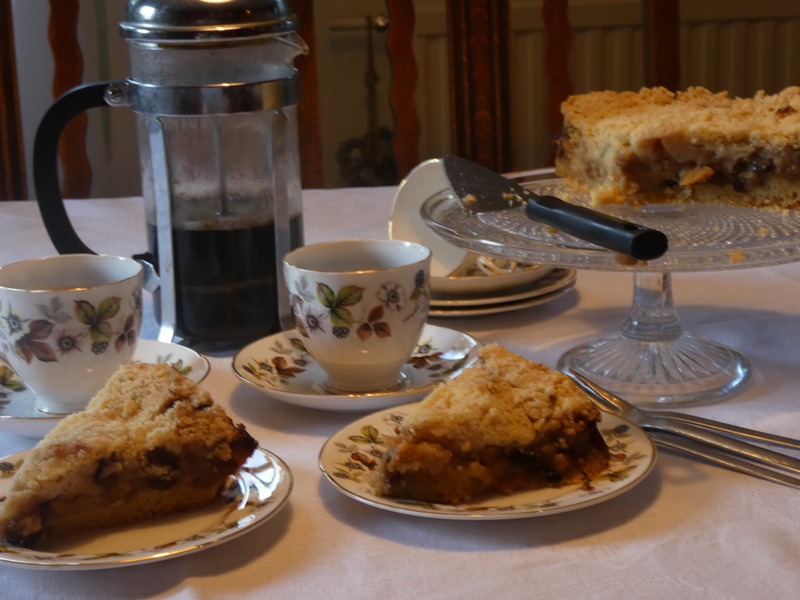 In some parts of Poland szarlotka is the word used for an apple cake. 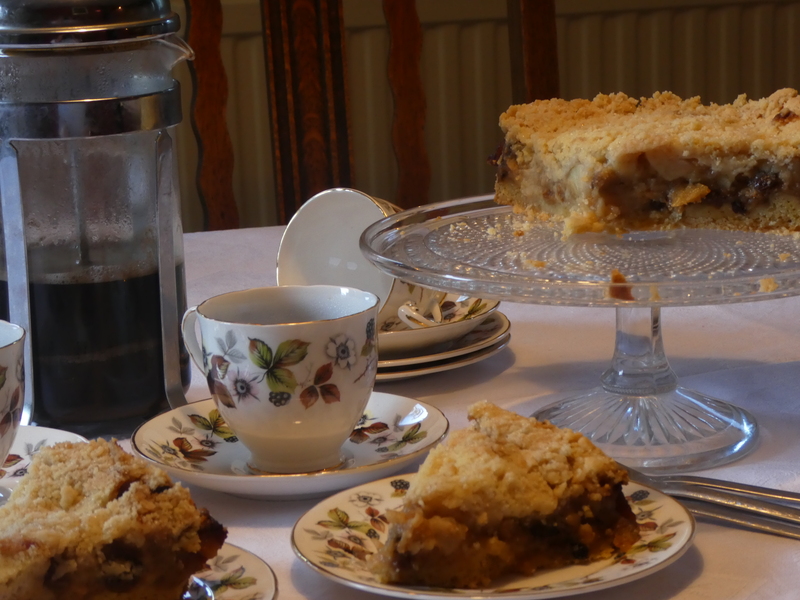 I wanted to create a cake that was cross between a cake and a crumble. 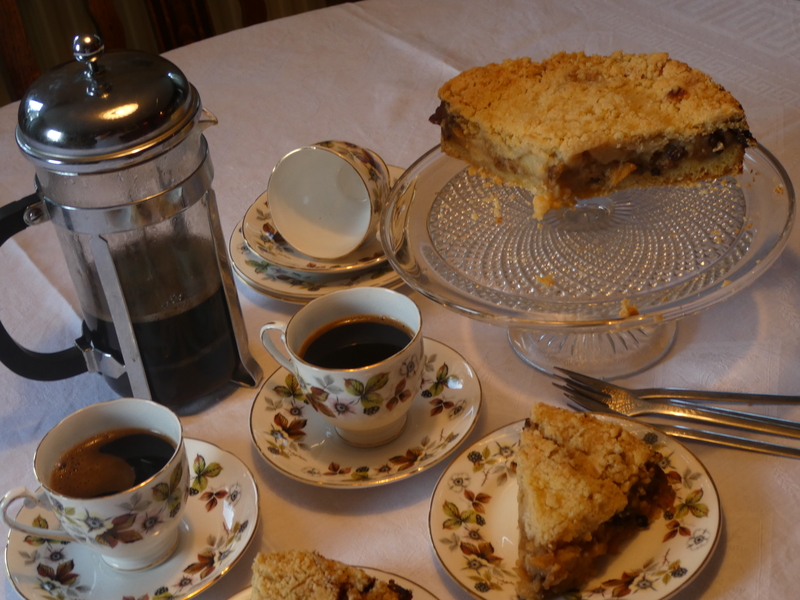 I have used half the quantity from my apple cake (jabłecznik) recipe as the base and then used a drier crumble type mixture – called kruszonka in Polish – for the top. 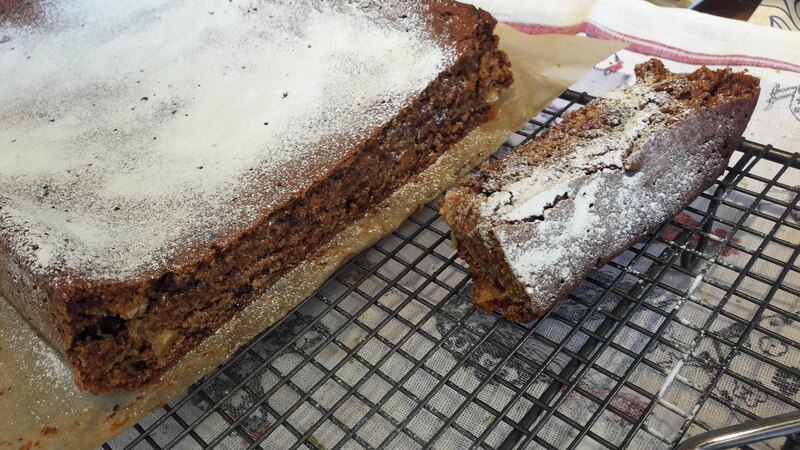 I have already done this for a rhubarb cake, so I have revisted this recipe. I have adjusted the recipe to use just one type of flour (plain) and one type of sugar (granulated) to make it easier. 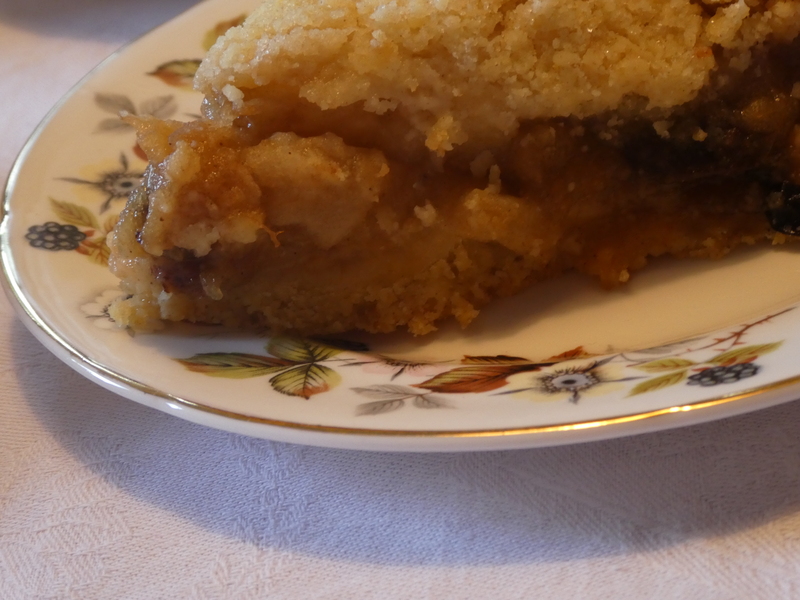 You can use an apple filling with just apples and sugar with the addition of cinnamon. Sometimes in Poland raisins or sultanas are added to the apples. 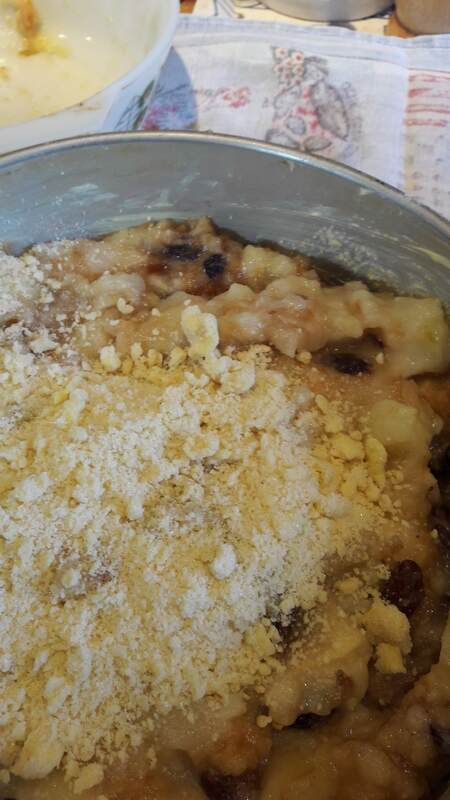 As I had some homemade, fruit mincemeat left from last year to use up (made from Delia Smith’s recipe but without nuts) before I made this year’s batch, I added some of this to the apples. Make the apple filling first, even the day beforehand as it needs to be cold before you use it. Peel and core the apples and cut them into thick slices. Stew the apples gently with some sugar and very little water. 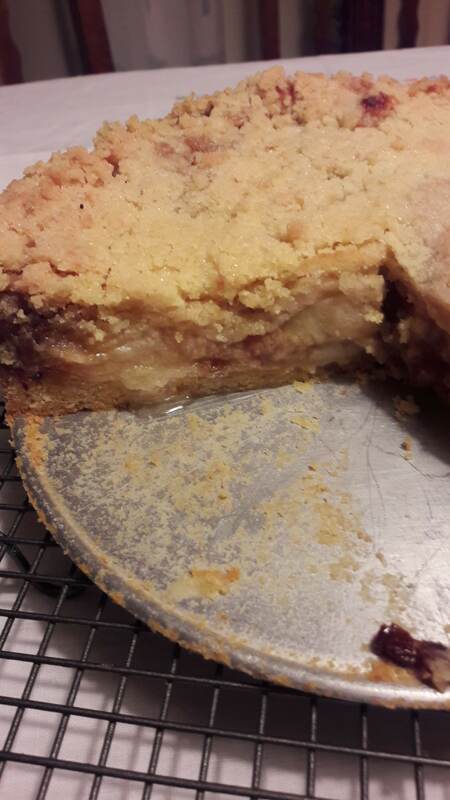 You can make this in a saucepan on the stove or place the apples and sugar in a dish in the oven. Do not add a lot of sugar at the beginning as it does not want to be too sweet, you can adjust the sweetness at the end. Do not make it too much of a purée, cook it so that you have some soft apples but with some harder less cooked chunks as well. Leave this to be completely cool. 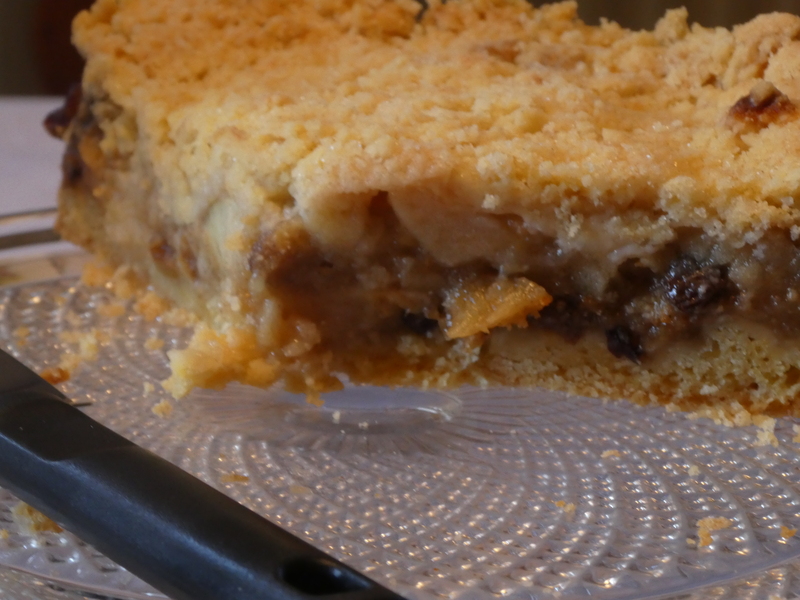 When I have lots of apples, I cook a large amount and portion this up and keep them in the freezer – add the mincemeat when making the cake. 1 or 2 tablespoons of lemon juice or water. 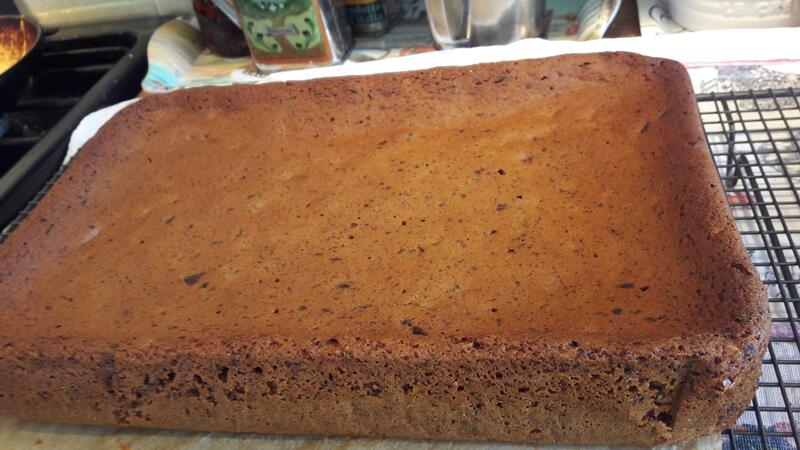 First make the cake base by rubbing the butter into the flour to make crumbs, then stir in the sugar. Add the yolk and lemon juice and bring the ingredients together to form a soft dough – do not handle the dough too much. 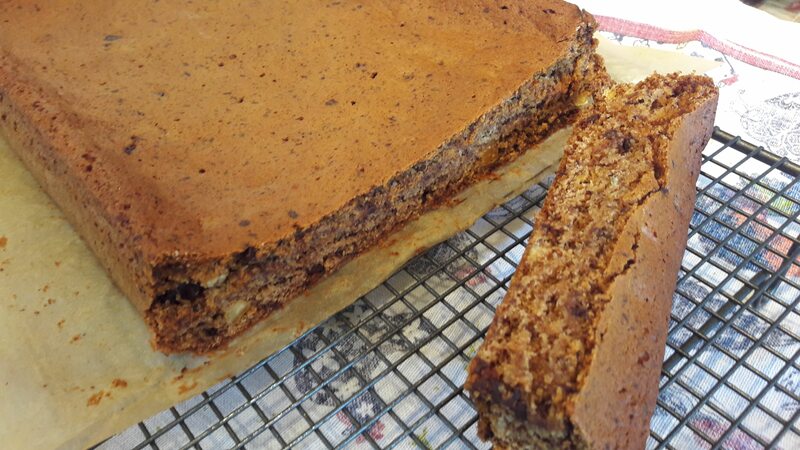 Put the apple mixture on top of the base – it wants to be quite a thick layer. 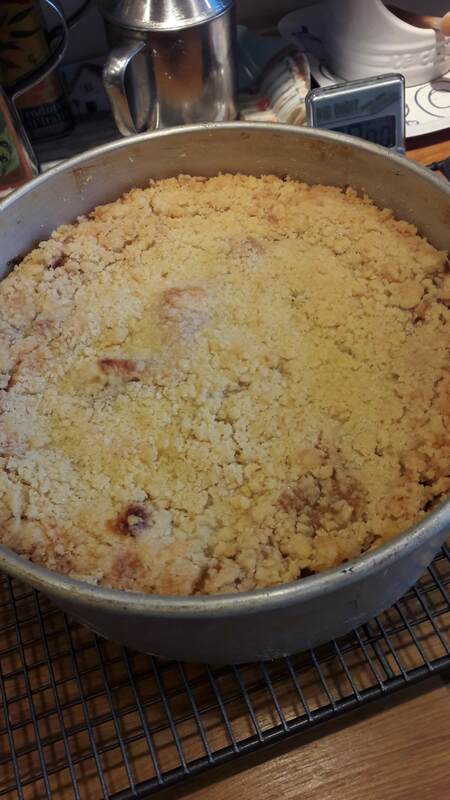 Sprinkle the topping crumbs over the apple mixture. Bake in the oven for around 1 hour. Use a long metal spatula to ease the cake from the side of the tin, then place the cake on to the top of a tin can and slide the side down. Karpatka – Carpathian Mountain Cake – gets its name as the top looks like the rugged mountains and the icing sugar dusting looks like a fine covering of snow. The Carpathian Mountains – Karpaty in Polish – are a mountain range in an arc roughly 1,500 kilometres in central and eastern Europe; part of the range is in Southern Poland and can be described as Alpine. It is made with 2 layers of choux pastry with vanilla pastry cream in between the layers and the top dusted with icing sugar. This was invented by an Italian chef in the mid 16th century and soon became popular in France. It gets its name from the French for cabbage as the little buns made from this pastry looked like little cabbages. It is made without any raising agent. It is the large water content in the dough which turns to steam in the high oven temperature which causes the pastry to rise. 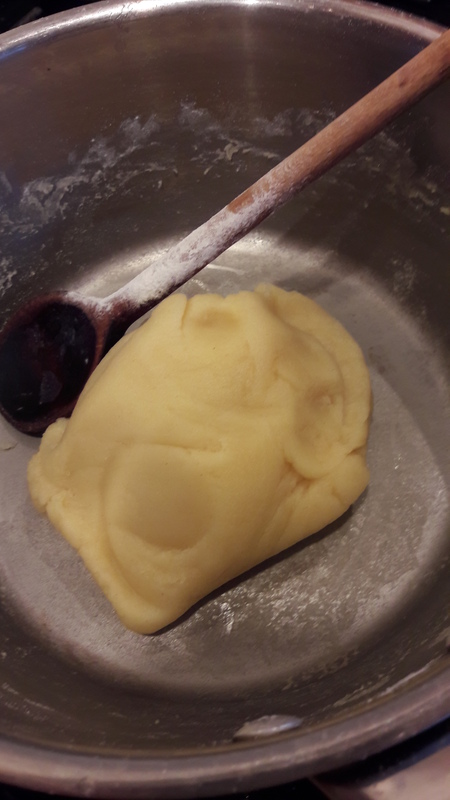 I read loads of conflicting advice on how to make choux pastry. My first attempt came out more like a Yorkshire pudding. After several attempts I now have a recipe that works. *Using strong flour gives a drier pastry whilst using plain flour gives a softer pastry. 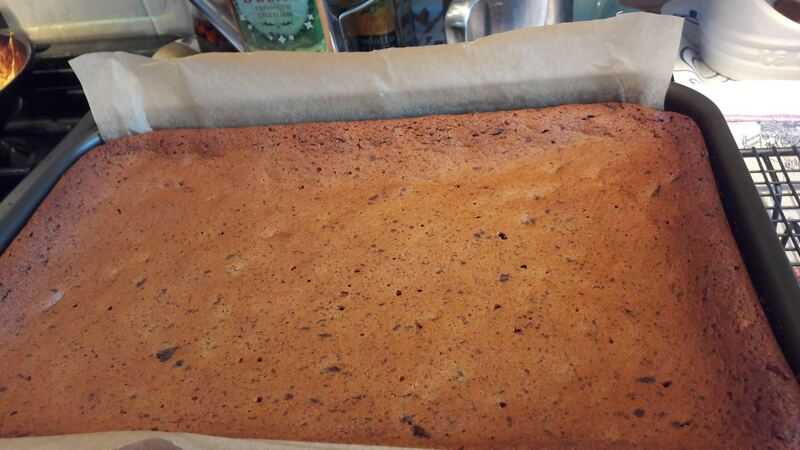 Grease 2 equal sized rectangular baking trays with sides or a large rectangular tin. Put the water, pinch of salt, sugar and the butter into a saucepan. Heat gently so the butter melts and then slowly bring this to the boil. Taking the pan off the heat add the flour, all in one go. 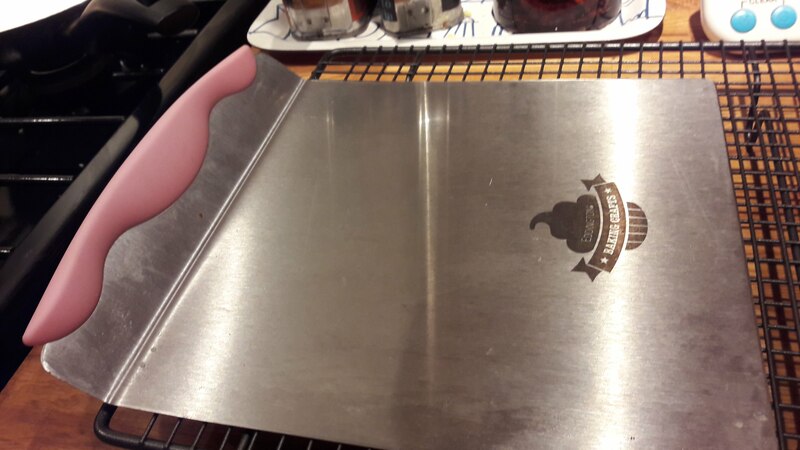 Return the pan to a gentle heat. Using a wooden spoon blend this all together until the dough forms a ball in the middle of the pan. Take the pan off the heat and put the dough into a bowl and leave till it is completely cold. Add the eggs one by one, continually blending the mixture. You can use a wooden spoon to do this – I have found it easier to start with an electric whisk to begin with and then cahnge to a wooden spoon at the end. You get a thick paste type mixture. Divide the mixture between the two trays and spread it out to fill the tray – do not smooth down the top – you want to have rough peaks. Using a cake tester make holes in the top of the pastry to remove some of the steam. Bake for another 5 – 10 minutes. 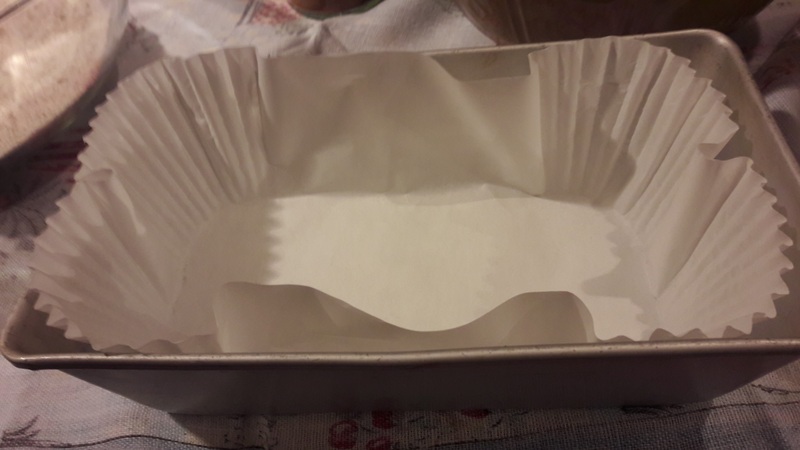 The pastry should be ready now, test to see if it feels dry – if not return for a few more minutes. Cream together the butter, sugar and egg yolk till pale and fluffy. 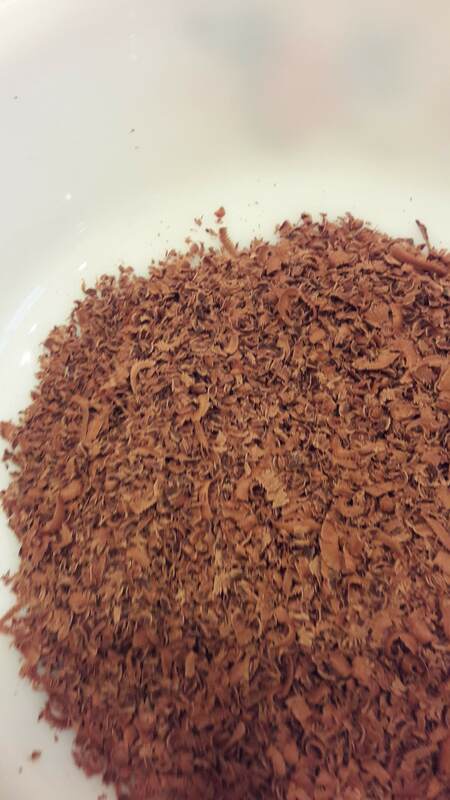 Add the vanilla essence and mix this in well. 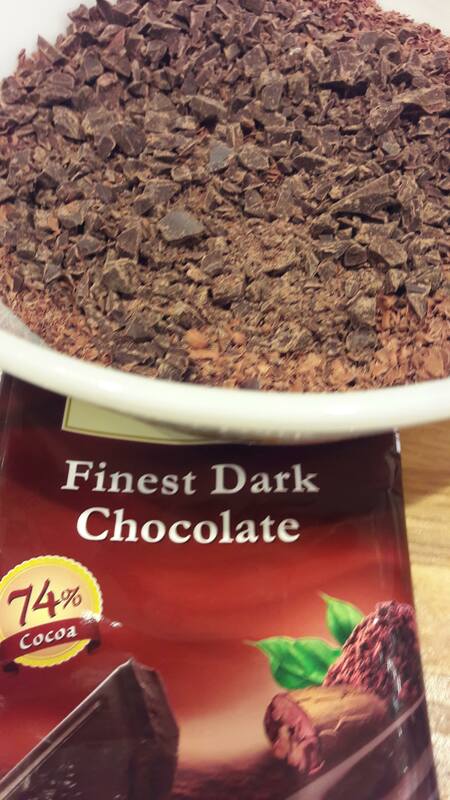 Add the budyń, spoonful by spoonful, mixing it well in. 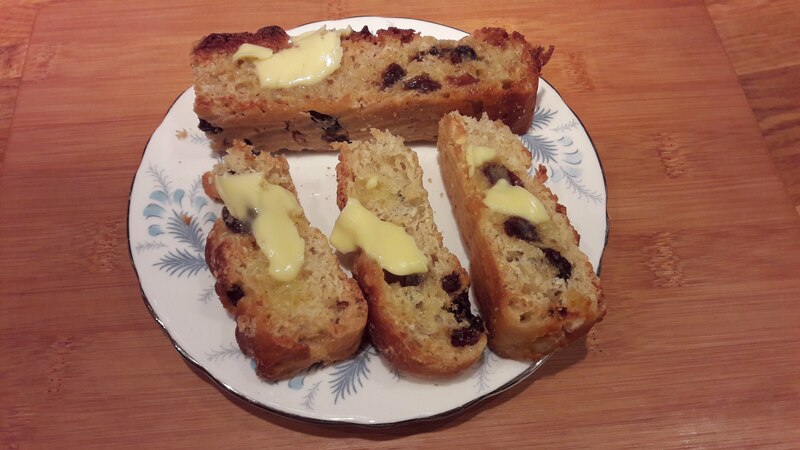 Whilst testing this recipe, I used half quantities of the choux pastry – ie just 1 tray – and cut this in half – the photographs – reflect this. Place one piece of the baked pastry onto a serving board. Cover the pastry with all the pastry cream spreading it evenly to the edges. Place the second piece of pastry on top. 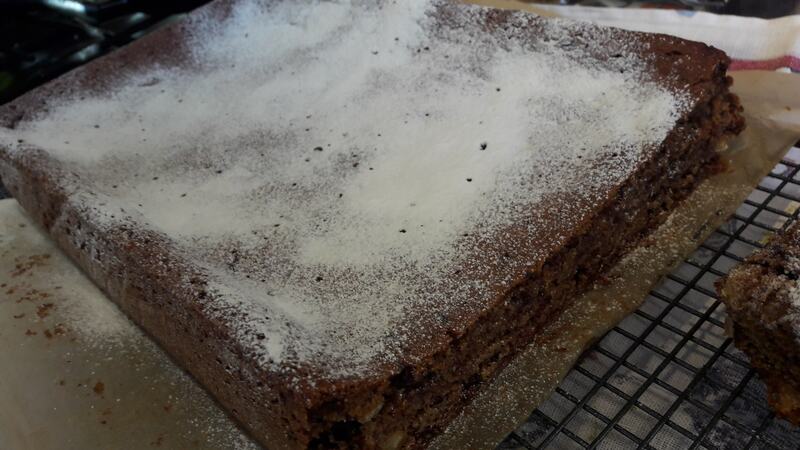 Dust the top lightly with icing sugar. 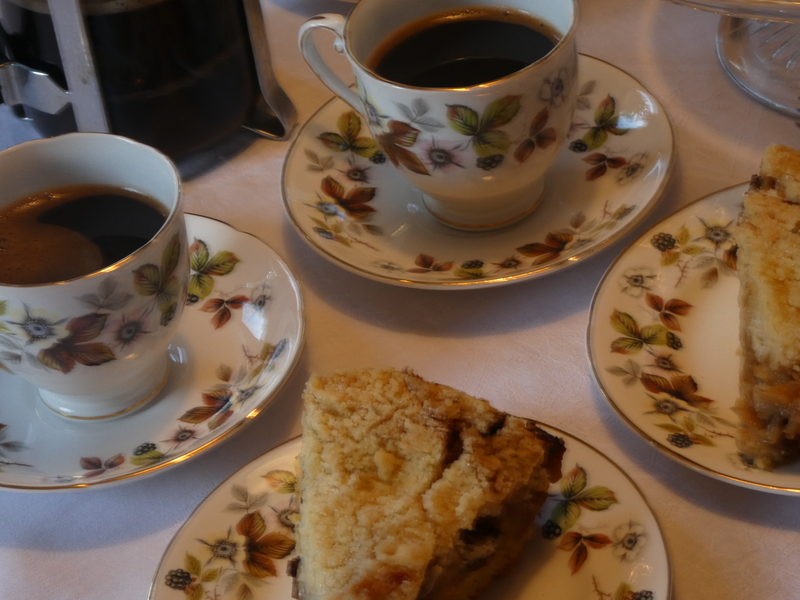 Served on Las Palmas by Aynsley from the 1960s. Though not as authentic but easier you can just use the chilled budyń on its own as the filling. Served here on Greenaway by John Russell from the 1960s.